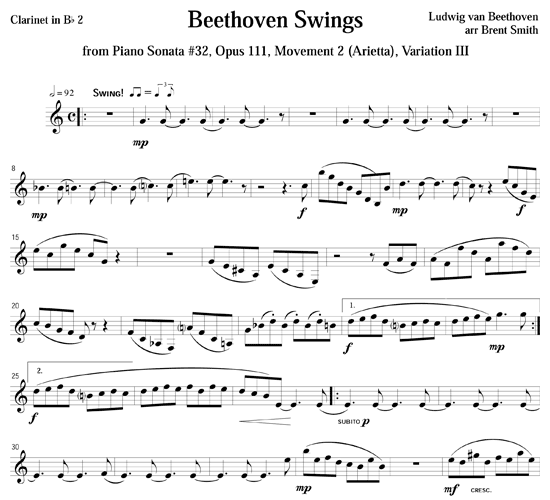 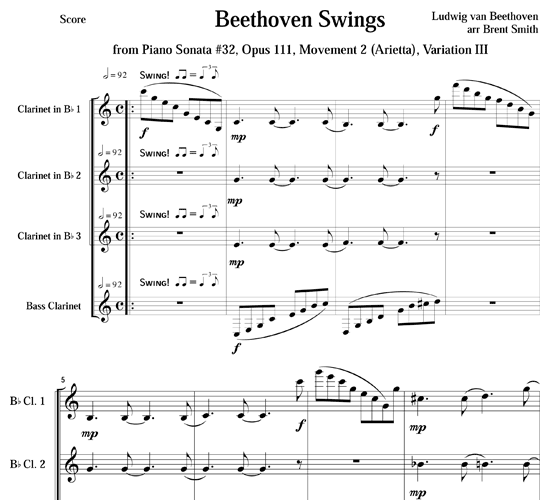 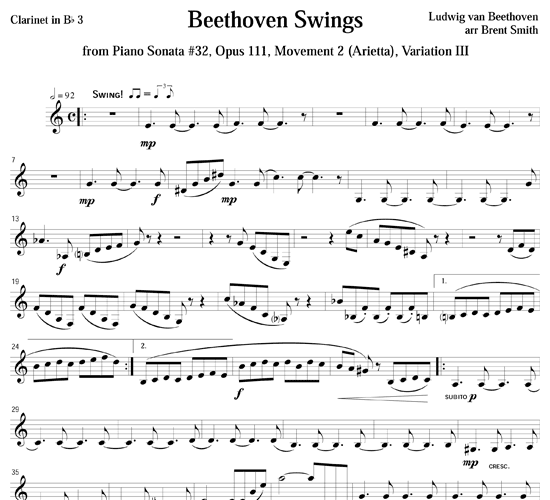 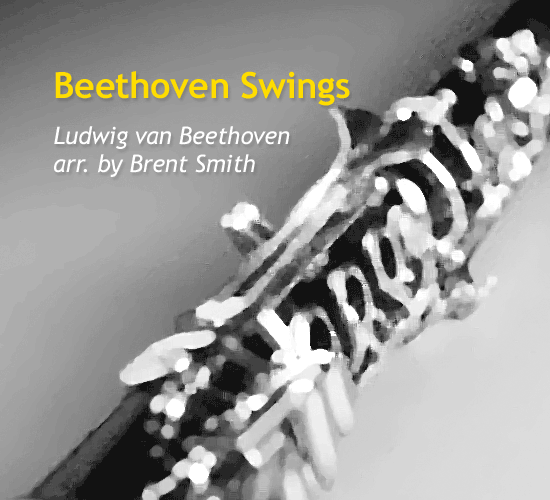 Beethoven Swings is from his Piano Sonata #32 (Opus 111, Movement 2 – Arietta, Variation 3) written almost 200 years ago in 1821. 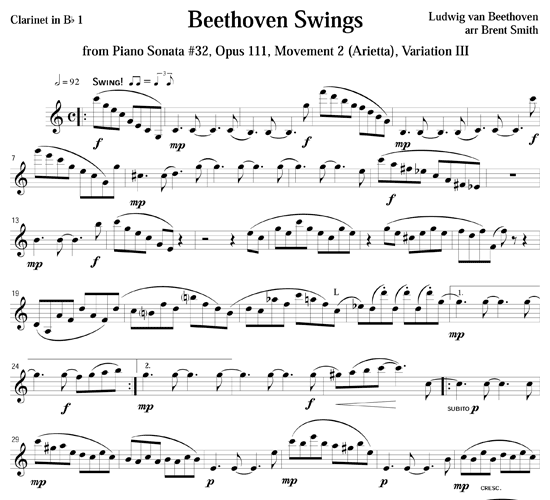 Its style is the forerunner of swing, ragtime and jazz that became a mainstay of pops music around the turn of the 20th century about 80 years later. 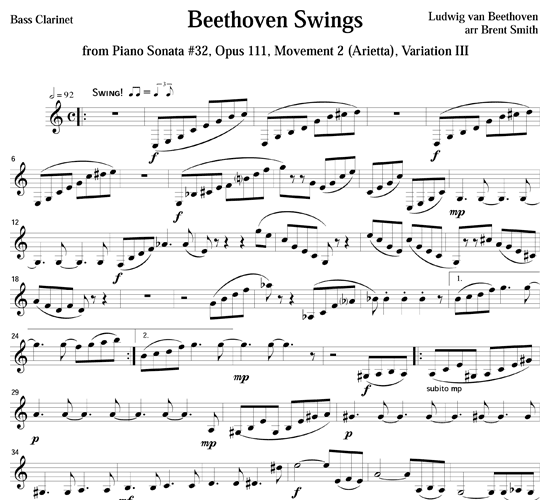 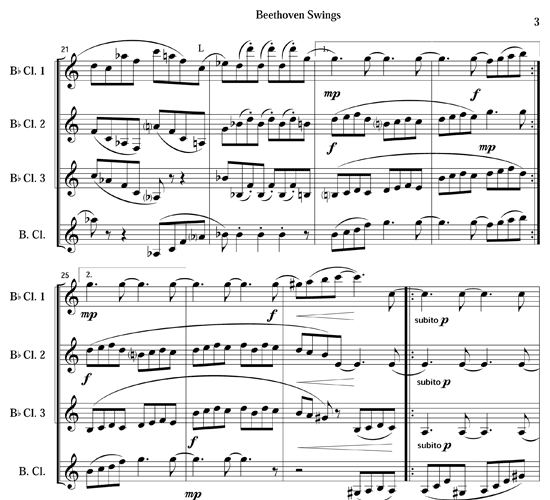 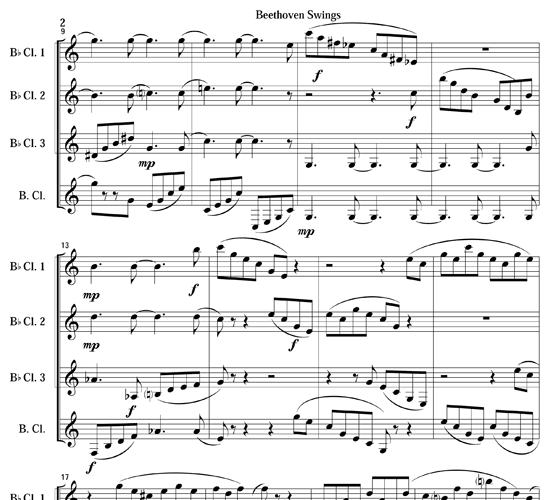 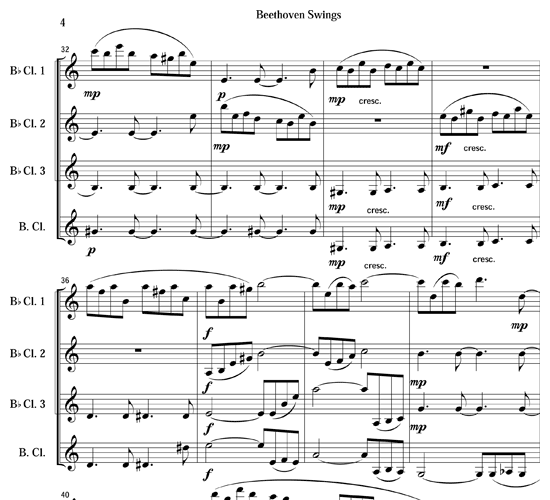 This quartet arrangement is faithful to Beethoven’s original notes, rhythms and free-wheeling wide-open character.